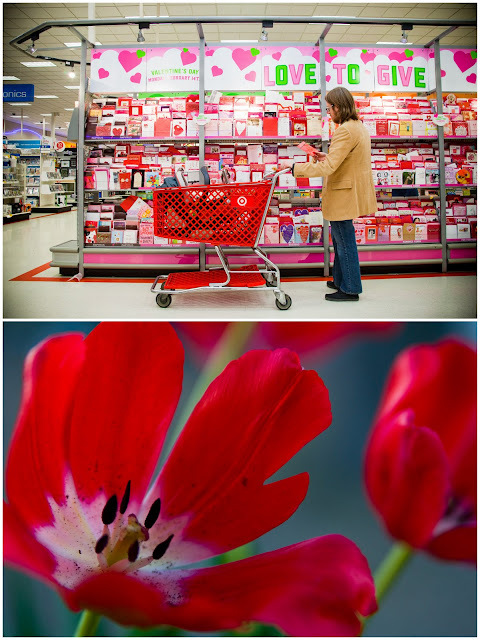 This is a photo of my husband at Target at 8:30 on February 13 pretending to look for the perfect Valentines Day Card. These are the actual flowers that Joy's husband brought her for Valentines Day. I'm thankful that we both have loving husbands. I'm also thankful for the color red. It is beautiful. Yep, she's there. Still too dependent on mommy to be left home very often.